Happy Christmas, everybody! I hope you all are set to enjoy a fantastic holiday, free from worry, strife, and threats by Ganon. That’s the peace that all true warriors strive for! I’m about to head out to my own yuletide festivities, but I figured I’d leave you with a special gift before I leave. 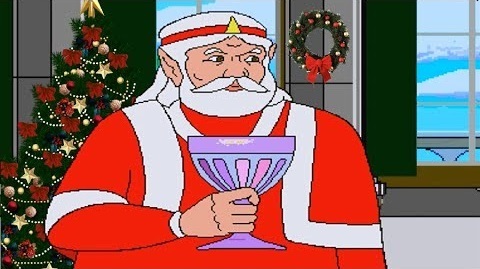 It’s another entry in the Zelda Dungeon Caption Contest, and this one features an appearance by Ol’ Saint Nick. Or, at least, I think it’s him. I got the things back on a weekly schedule again with our last contest. Dylan: Inkling: WHAT A MAN! Unknown: Inkling: Hey, if I can’t swim in water maybe I can swim in milk reeeeee. Lifeoflink: Inkling: CHUG! CHUG! CHUG! CHUG! 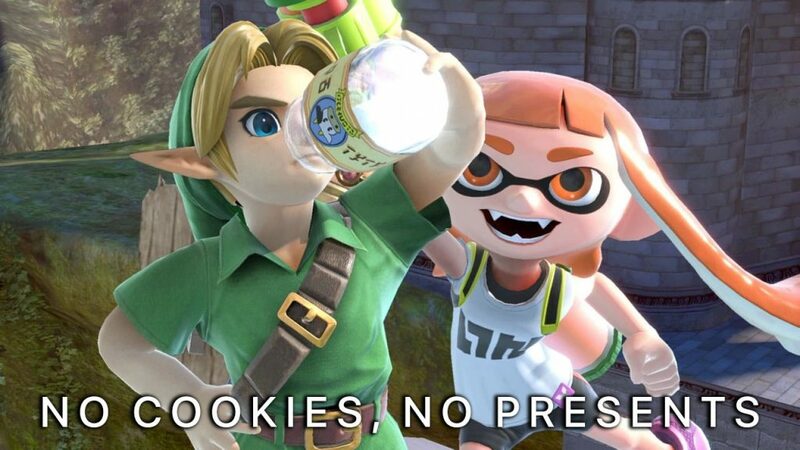 Link: This bottle has two servings in it. I don’t think I’ll make it!! You better watch out. You better not cry. You better not pout. I’m telling you why.